Vietnam was one of those places where on one hand I felt a sense of familiarity since my last visit 18 years ago, but on the other hand, it was quite foreign to me at the same time. I wavered between both feelings during our 12 day stay. You know how you’ve heard of so and so distant relative but if you ever saw them on the street you wouldn’t recognize them? Or when your family’s not socially networked when you go away to college and so you come back to find out that suddenly your baby cousin is now a kid who can read and has a Facebook profile? That’s how I felt about my family that are still in Vietnam. I always knew I had relatives in Vietnam, but I never really knew who they were or even some of their names. Sure I had met some of them 18 years ago, but over the years, it was out of sight, out of mind. So it was really neat to sort of “discover” and get to know my cousins better. Not to be cheesy, but I feel like I gained more family while on this trip. The last time I felt this way was when we got married. See the cute little girl? I had no idea she even existed! I had no idea my cousin is artist/teacher. I knew he was a teacher, but I thought it was some academic subject, not art. 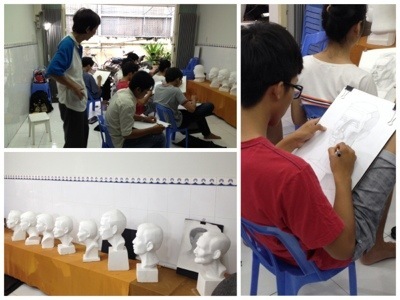 He is super talented, he made those busts! I played badminton with my cousin. That was incredibly fun though sweaty. Badminton was quite foreign to Jerry before he met me, but familiar to me, as I got my first badminton set in 5th grade. 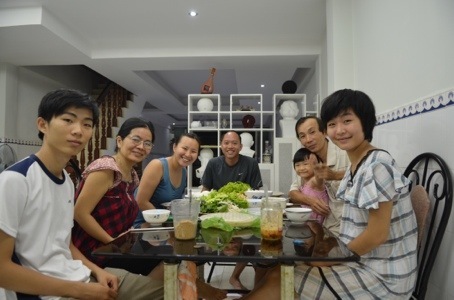 No one in my family in the States played badminton while I was growing up, so I was pleasantly surprised to find out that my cousins in Vietnam play almost every day! 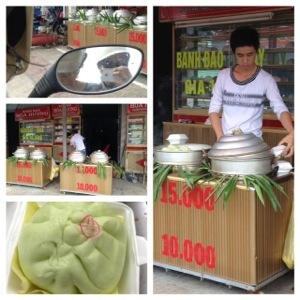 I thought we left food drive thrus when we left America in February, but it turns out in you can ride your motorcycle right up to a vendor and get stuff like meat buns and fruit without getting off your bike. 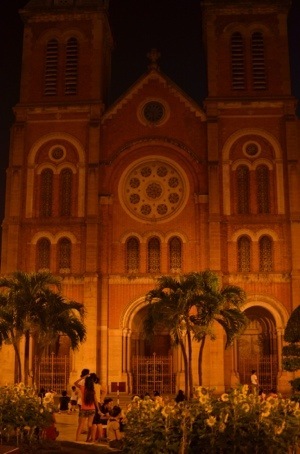 I had no idea Saigon had its own version of Notre Dame. It was a duh moment! 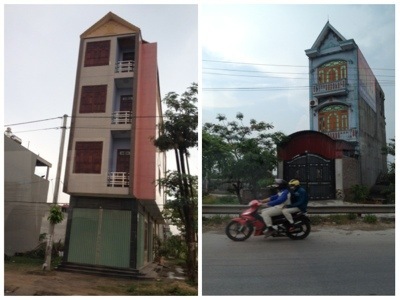 Jerry found these buildings to be oddly shaped. Built very tall instead of wide, when there was plenty of land to be had. 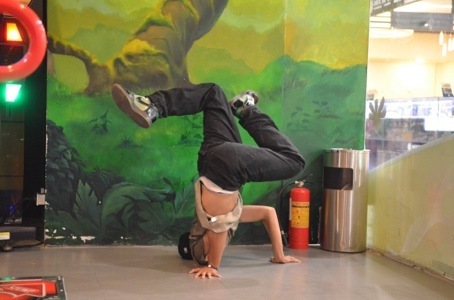 Jerry discovered the best DDR players to be in Vietnam (we thought they’d be in Japan). And as you’ll see in the video at the end of this post, go kart racing is where folks take the opportunity to not drive like they normally do outside. 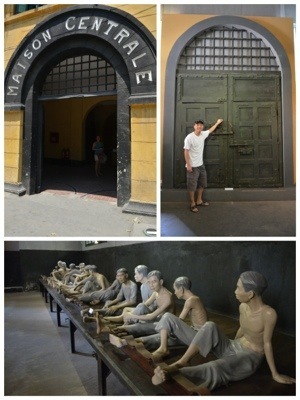 I pretty much got schooled by these museums in Vietnam. I won’t even pretend that I am knowledgable about Vietnam’s political history or current political climate. I guess there is always the assumption that if you’re from a certain country, how dare you not know the history, right? Well, better late than never! What I knew about Vietnam’s past I cobbled up through years of random things I’ve heard in passing from my family, the TV, or in school. 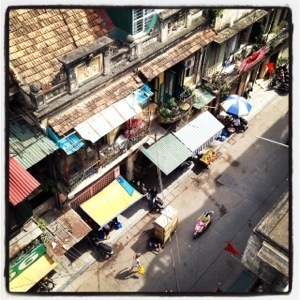 And to prove this point, we flew into Hanoi on April 29th. Our hotel receptionist told us the following day (4/30) was a holiday. I blankly looked at him and said, huh? Then it registered with me that it was Black April. I actually only learned about Black April during college, not even from my family. And why would they tell me? I certainly didn’t ask. So this trip to Vietnam was a huge history lesson for me. I didn’t even know that the US used Agent Orange during the war either. That was a huge shock for me and seeing the pictures, that was eye opening. I think that when we come home, I’d like to ask about the war and my family’s boat escape story in further detail with my family if they feel like talking about it. I’ve only heard bits and pieces, but maybe I’ll have more intelligent questions to ask now that I’ve seen one side of the story (i.e. 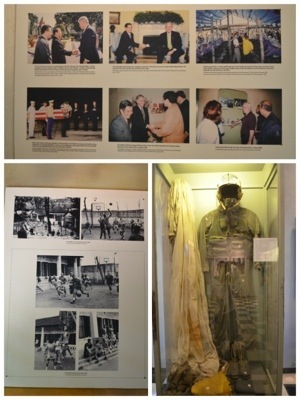 the museum exhibits). 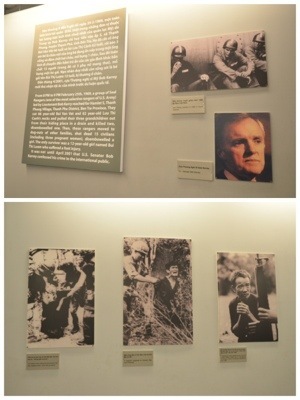 I had never heard of the “Hanoi Hilton” or that former Senator McCain was a prisoner there. Jerry had though. 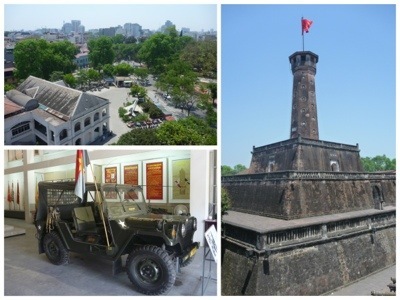 Vietnam Military History museum in Hanoi. 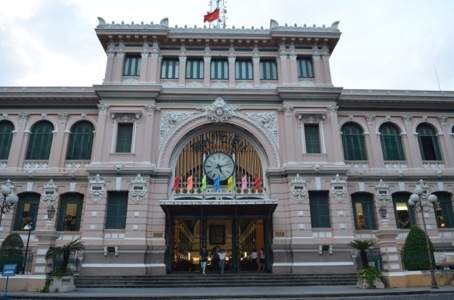 I learned a lot about the French colonization of Vietnam here. 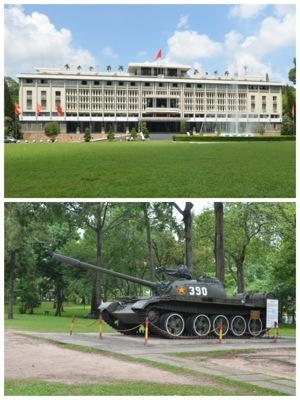 The site where the northern Vietnamese army tank (pictured above) crashed through the gates of the then called Independence Palace and afterwards renamed Reunification Palace. 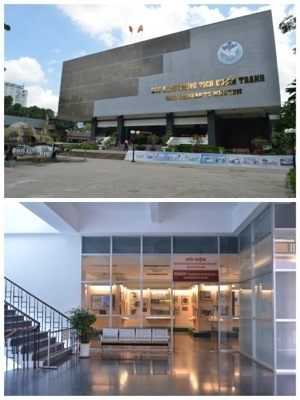 The War Remnants Museum in Saigon. There’s no flashy exhibits or fancy technology like today’s museums. But I think it’s well curated and extremely powerful. The photos speak for themselves. 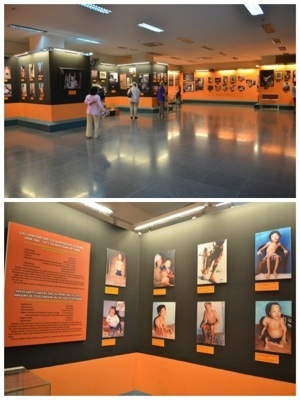 Not to be all dramatic, but that Agent Orange exhibit had me tearing up. I felt so depressed seeing all the photos and reading the stories. How do you ever repair or repay an action like that? You just can’t. 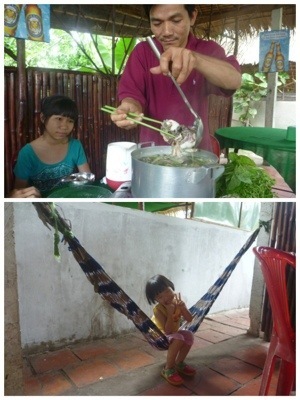 So despite flying in and thinking that Vietnam would be the most familiar place for me because I knew the language and the food, it ended up being foreign to me in the most positive and eye opening way. Someday I’d like to take our kids there so they can get a sense of their family roots. Crossing the street in VN is always an adventure, and the plethora of motorcycles certainly makes it even more challenging! 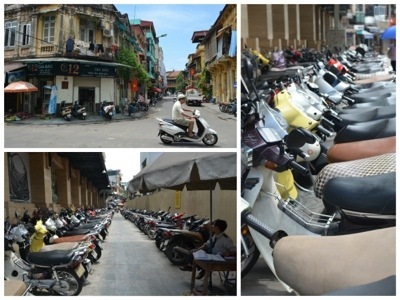 There’s no such thing as traffic laws in Vietnam. Apart from American hipster salads with fancy ingredients such as quinoa and seitan, I’d consider Vietnamese food to be on the lighter side. Well, with the exception of egg rolls pictured above. Although is it healthier when wrapped in lettuce? 😛 Anyhow, it was quite a refreshing change from the greasy and heavy Chinese food that we’d been having. Typical restaurant set ups. I didn’t bother to use Google much in countries like Vietnam. I had a feeling that once we ventured outside, we’d just go where our noses and eyes took us. 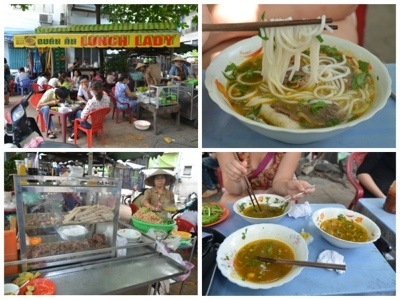 More bun bo hue near my cousin’s house. 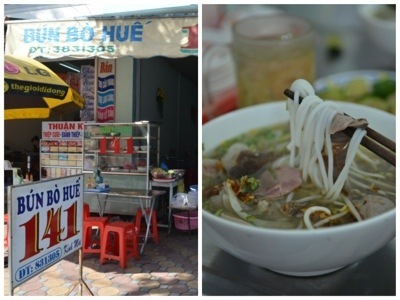 I actually prefer bun bo hue over pho. I crave pho when I’m sick because it’s simple and comforting, but when I’m just plain hungry a bowl bun bo hue has my name written all over it. 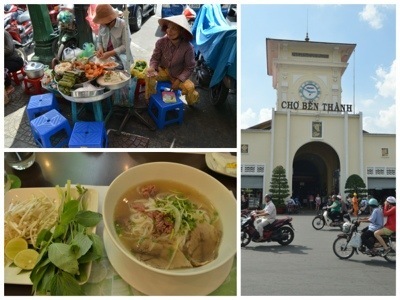 I didn’t try to seek out the “best pho” in Vietnam. I’m not really that picky about pho, as long as it’s not too salty or skimpy on the portions, then any bowl will do. 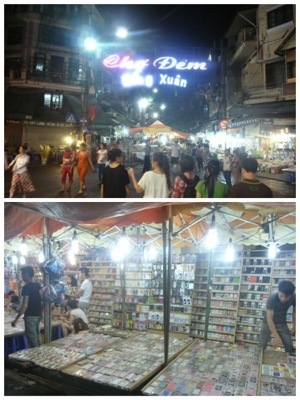 Pictured left is Ben Thanh market, which is really fun to browse in and well organized I feel. 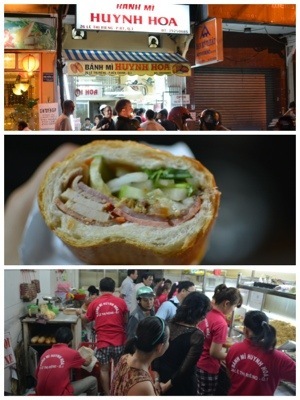 We went to what was supposedly the best banh mi in Saigon. We went twice, the first time I thought everything was perfect except for the bread which I felt was too over baked. The second time the bread was softer. Pretty much a winner, although really, you can’t go wrong anywhere I feel. 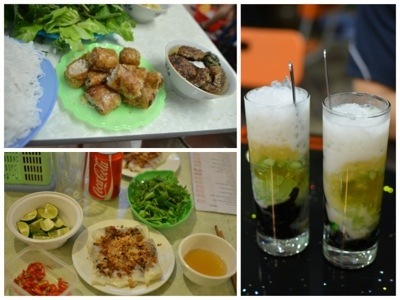 Night markets galore in Hanoi and Saigon. Though the wares offered have changed over the years to reflect tastes, I think the concept of a night market hasn’t, thankfully. 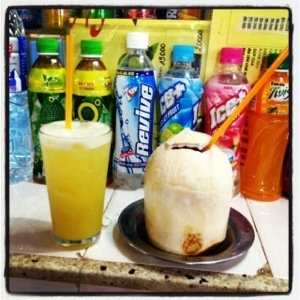 One of my favorite things about Asia is the plethora of fresh fruits and drinks. Really no point in drinking soda or anything artificial when you can get fresh squeezed sugarcane juice and coconut juice straight from the source so easily. 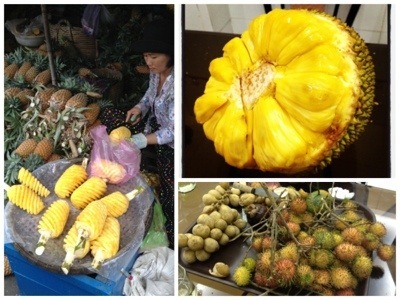 I ate my weight and more in jackfruit and rambutan specifically. It’s really pricey back at home. Another place I also get my exotic fruit fix is in Canada. I think my cousin said that import laws there are more lax than in the states. The Vietnamese cardboard box. 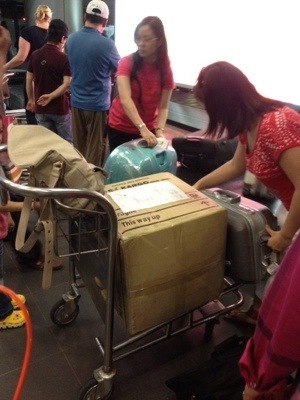 If you head to the airport on any given night, at the check in counter for flights to Vietnam, you will see lines of folks waiting to check in their cardboard boxes. 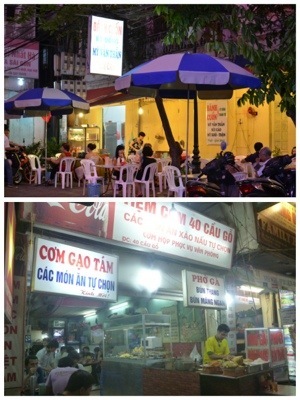 Who knows whats in them, but keep in mind that Western goods are still prized in Vietnam. 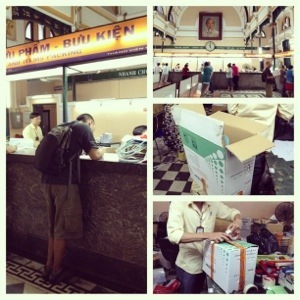 Jerry and I decided to partake and ship a box of stuff (souvenirs/extra clothes) home. Our stuff is estimated to arrive by boat…oh in a few months or so. It was 66% cheaper by boat than by plane! 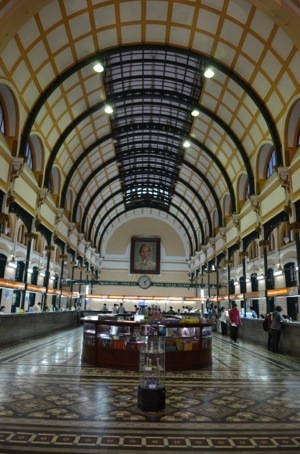 So after having spent the last couple months prior trying to sign language our way through Brazil, interpreting what was what on a menu in Peru, and searching the ends of the Internet for the correct bus to take to the Great Wall, I thought Vietnam would be the one place that we’d breeze through. Boy was I wrong, and I’m glad I was wrong. Our next post will go into that!